Are Rolls Royce shares worth buying after their 40% decline? YES – The company’s current long-term goal is to provide the world with more efficient power systems that can help in the battle against climate change. We are one of the world’s leading producers of aero engines for large civil aircraft and corporate jets. We are the second largest provider of defence aero engines and services in the world. For land and sea markets, reciprocating engines and systems from Rolls-Royce are in marine, distributed energy, oil & gas, rail and off-highway vehicle applications. In nuclear, we have a strong instrumentation, product and service capability in both civil power and submarine propulsion. Address four global markets: Civil and defence aerospace, marine and energy. Invest in technology, infrastructure and capability: Invest significantly in research and development, training and large capital projects. Develop a competitive portfolio of products and services: Rolls-Royce has more than 50 current product programmes and is involved in many future projects which will help to define the power systems market in the years ahead. Grow market share and installed product base: Engines already in service are expected to generate attractive returns over many decades. Add value for our customers through the provision of product-related services: Providing aftermarket services that will enhance product performance and reliability. Customer: Improve quality, delivery, reliability and responsiveness. Concentration: Decide where to invest and where not to. E.g. acquiring Daimler’s 50% shareholding in Rolls-Royce Power Systems for £1.94 billion, or completing the sale of the energy gas turbines and compressor business to Siemens. Cost: Take action to improve cost performance in every part of the business and in every cost category. Cash: Focus on improving free cash flow in the face of multiple near-term headwinds. YES – Its core business is the design, development, manufacture and service of engines and integrated power systems for use on land, sea and in the air. 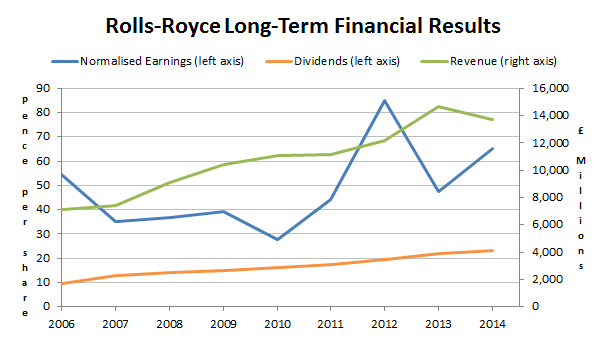 So in terms of growth, Rolls-Royce has grown more quickly and more consistently than the large-cap market overall. NO – There are two key financial obligations that I track: total interest bearing debts (borrowings) and defined benefit pension obligations. If either of these is “too large” it can result in dividend cuts and rights issues as the interests of lenders and pensioners come before those of shareholders. The company operates in the defensive Aerospace & Defence sector and for defensive companies my Debt Ratio limit is 5, so Rolls-Royce is comfortably below that limit. Clearly Rolls-Royce’s pension scheme causes it to violate both of those rules of thumb. If its obligations continue to expand (they have grown from £6.5bn in 2008 to £12.4bn today) then the risks of a massive pension deficit are, in my opinion, too high. On a positive note, the company has at least purchased “longevity swaps”, which insure it against the cost of its retired employees living longer than expected. However, those swaps only cover £3bn of the total obligation, leaving £9bn uninsured. One other plus point is that the defined benefit scheme was closed to new members in 2007. As a result of its massive pension obligation and deficit risk, Rolls-Royce will be excluded from my buy list until those obligations are reduced or until the company’s profits are significantly increased. So despite its current problems, investors must still be expecting Rolls-Royce to grow its dividend faster than the market average over the medium to longer-term, otherwise they would not accept the lower dividend yield and weaker valuation ratios. YES – The company’s KPIs include research and development expenditure, capital expenditure (i.e. investment), cash/debt ratio (liquidity and leverage) and free cash flow (liquidity and profitability). 8. Is the company in the leading group in terms of market share within its chosen markets (economies of scale)? YES – Rolls-Royce is the second largest provider of defence aero engines and services in the world and the leading provider of engines for military transport aircraft and business jets. It also has strong positions in many of its other markets. 9. Has the company had the same core business for many years (economies of experience)? YES – Although Rolls-Royce started off manufacturing cars in 1906, it has been designing and manufacturing aircraft engines for the military since the start of the First World War in 1914. It moved into civil aviation shortly after the end of the Second World War. YES – Rolls-Royce had a difficult year in 2014 and as a result has embarked on “decisive action [which] is driving a transformation of the business”. This transformation is currently focused on improving the 4Cs mentioned earlier: Customer, Concentration, Cost and Cash. This is a company-wide effort but it appears to me to be evolutionary rather than revolutionary, and does not fit into the category of what I would consider high risk “bet the company” projects. YES – Although my answer is yes, Rolls-Royce does spend huge sums on capital expenses. For example, over the past 10 capex has averaged just over £750m per year. This need for significant capital expenditure is due to the nature of its business, which involves many years of research and development before new engines or other technologies can be put into production, and that production then requires expensive factories and equipment. That is above average, but slightly below my definition of “high average capex”, which is anything over 100%. NO – Rather than selling engines one at a time, Rolls-Royce signs large contracts, sometimes valued in billions of pounds, to supply and service multiple engines and power systems over many years. Its largest contract to date has a value of some £6bn, and covers the supply and service of engines for the Emirates airline’s fleet of Airbus A380 “double decker” commercial airliners. The company’s order book is currently valued at £74bn, so that large Emirates contract on its own makes up approximately 8% of the order book. Although this is a significant reliance on a single contract, I don’t think the company is over-exposed to these large contracts. I don’t yet have a rule of thumb on when a contract is “too big”, but if I did I think it would be higher than 8% of the order book. NO – In 2011 Rolls-Royce spent approximately £1.5bn purchasing Tognum, a German industrial engines group, alongside Daimler in a 50/50 joint venture acquisition. This was a “large” acquisition as it came to more than 100% of that year’s post-tax profits (which is my definition of large). In 2014 the company purchased the remaining 50% of what was Tognum (now part of its Power Systems business) for £1.9bn. This is also classified as a “large” acquisition, costing more than 150% of that year’s post-tax profits. This large acquisition does not appear to have destabilised Rolls-Royce and its integration appears to have gone smoothly. On average, acquisitions for Rolls-Royce have equalled 40% of post-tax profits over the last 10 years, which is not particularly high. YES – The only large acquisition (Tognum) is closely related to the company’s core engines business. YES – The company is in the Aerospace & Defense sector, which is a defensive sector. However, Rolls-Royce’s largest market, civil aviation, is cyclical. In recent years the company has been trying to diversify away from civil aviation in order to reduce this cyclicality. For example, in 2008 49% of total revenues came from civil aviation; by 2014 that percentage had dropped to 47%, which is not a massive difference. Another way in which Rolls-Royce has tried to reduce its cyclicality is through long-term service contracts, which produce more reliable revenues and profits than the sale of new engines (called “original equipment”). As less than half of total revenues come from the cyclical civil aviation sector and about half of total revenues come from the more defensive service side of the business, I would say it is reasonable to call Rolls-Royce a defensive company. YES – I see no obvious evidence that the pattern of demand will change significantly in the short or medium-term. YES – Rolls-Royce expects all of its major markets (civil and defensive aerospace, power systems, marine and nuclear) to grow over the next 20 years. I think that expectation is reasonable. YES – Although the company’s engine and power system products do need to be regularly replaced with newer, better versions, this regularity is actually quite slow. Many of the company’s product designs have a useful life of more than 20 years or more, with the help of interim upgrades and other improvements which do not involve a complete redesign. YES – Through the use of patents and long, expensive development phases, many of Rolls-Royce’s products are best in class at their respective jobs. Although it is not impossible for other companies to produce better products, the difficulty of this task means its engines and other products often do not compete purely on price. This “hard to replicate” argument is taken even further when the company’s TotalCare service package is included, where Rolls-Royce has a lot of experience of providing product-related services which involve a tightly integrated and complex relationship with its customers. YES – Although commodities are used as inputs for its products and many of its customers are affected to a large degree by commodity price movements, they do not have a significant impact on Rolls-Royce. NO – Although the company does focus on return on sales (11.5% in 2014) it does not have a measure for return on capital or return on investment. This is very probably tracked within the business, but it is not obviously a major focus of the company, which it should be. YES – The company has two main intangible assets: its brand name and its collection of patents. Rolls-Royce is known throughout the world for its engines and engineering capabilities and this brand familiarity enormously increases the likelihood that the company’s products will be seriously considered by its target audience. A much less well-known company would have a considerably bigger “credibility gap” to overcome. Its patents are also an intangible asset. For example, in 2014 the company spent some £1.2bn on research and development, producing 600 patents along the way. In principle these patents give the company a monopoly on a particular technical solution which can make the patent-protected products hard to compete against. YES – If an airline decided to use Rolls-Royce engines in a fleet of aircraft, and to have Rolls-Royce provide complex, tightly integrated services to support those engines during their lifetime, both companies would work to optimise related technical solutions and processes. Because of this I expect it would be much easier for this airline to continue to use Rolls-Royce for a different fleet of aircraft, or to use new Rolls-Royce engines when it is time to replace the old Rolls-Royce engines (whether for the same aircraft or new ones). This creates a barrier between that customer and other engine suppliers, although how high that barrier is I do not know. The flip-side of this is that Rolls-Royce’s major competitors could also benefit from this same competitive advantage. NO – The company’s products or services do not become appreciably better just because more customers are using them. NO – I don’t see any obvious evidence that the company has a durable cost advantage over its major competitors. 26. At the current share price are the shares closest to my estimate of good, fair or poor value? GOOD VALUE – At 780p Rolls-Royce has a rank of 63 out of 230 qualifying stocks on my stock screen, slightly outside the top 50 which represents my definition of “good value”. I would seriously consider buying the shares at anything below the “good value” price (ignoring for now its large pension scheme). At 700p the shares would have a dividend yield of 3.3%, more or less in line with the FTSE 100’s current yield, but from a company with an above average record of growth and perhaps greater dividend growth potential over the medium to longer-term. At the “fair value” price of 1,050p the shares would yield 2.2% and this price is clearly achievable, given that the shares reached almost 1,300p at the start of 2014. 27. Are the odds of this company being a value trap acceptably low, and why? NO – A value trap is when a company’s shares appear to be cheap, but turn out not to be because the company subsequently runs into major problems, cuts its dividend, announces a rights issue, or worse. In the case of Rolls-Royce its shares do appear to be cheap, but I think there is a significant risk of a reduction in its ability to pay future dividends. The company has issued four profit warnings in the last 18 months and its latest update, published in July, outlined its current problems and their implications for the future. One casualty of these headwinds is the share buyback scheme, which has been suspended some £500m short of its initial £1bn buyback target. None of these issues are expected by the company to extend beyond the medium-term. Rolls-Royce still expects to see significant revenue growth over the next 10 years. I see no obvious reason to doubt that opinion and so I don’t think the major risk to future dividend growth is its current operational problems. I think the more significant problem is its massive pension obligations, which has the potential to amplify the effects of any operational weaknesses. At more than 12-times average earnings, a 10% deficit would require more than £1bn of cash to be pumped into the scheme to return it to surplus. The company would have little choice in the matter, as it is legally obliged to fully fund the scheme. Although, as I have already mentioned, it has taken out “longevity swaps” and has also reduced the equity allocation of its pension assets to reduce volatility and risk, to me the scheme still represents a massive potential black hole. Although I would like to invest in Rolls-Royce, I won’t be doing so until it gets that pension scheme under control. That will only happen if it sells some of the obligations to a third party or if it can grow its earnings faster than the pension scheme grows its obligations. 28. Is the company’s use of leverage conservative enough given the likelihood of it being a value trap? NO – Although Rolls-Royce has a Debt Ratio of 3.2, which is significantly below my limit of 5 for defensive companies, I would like to see that debt level reduced further to offset some of the risk from its pension scheme. As I mentioned earlier, I have a rule of thumb which is to not invest in companies where the combined Debt and Pension Ratios are above 10 (currently it’s 15.5 largely because of the Pension Ratio of 12.3). Reducing the level of debt would be a big help in reducing the risks associated with the company’s very significant pension obligations. Thorough as always, John. Interesting to read. I had not realised their pension liabilities had grown so substantially of late. As you know, I opened a position in RR earlier this month. Although above your good value marker at 783p. I am happy with that. Although, like you, I would jump on the opportunity to top up at under 700p! I had not thought of the TotalCare service as being hard to replicate. I think you may be right. However, I am not sure what other such service was provided before. It may be that there is an established support network already quite mature which TotalCare is trying to stomp on. When you take a look at their order book it is actually remarkably diverse for a “big buy” company like RR which, I think, really reflects the quality of the company, its brands and products. It is a high-quality company for the long term and your analysis throws that quite nicely into perspective! It’s kind of like getting your car serviced by the manufacturer for a price based on how many miles you drive. The manufacturer knows the car best (hopefully) and the fixed price incentivises them to make the car more reliable, both at the end of the production line and after each service. I do not think you understand how defined benefits pension works. Let’s put things right. RR is running a very conversative approach with its defined benefits pension. In the 2014 annual report, the UK defined benefit pension scheme had assets valued at £12.34bln and liabilities actuarial calculated of £10.61bln. The scheme has a surplus of £1.735 bln. The overseas defined benefit pension schemes have a small deficit £71million and there are also unfounded liabilities relating to overseas pension schemes of £1.1 bln – this is probably the actuarial cost of the healthcare for the retirees they have in the U.S. which is paid as you go. So overall there is a £600m surplus. This is one of the very few FTSE 100 running a surplus for its UK defined benefit pension scheme. I can see no worry here, unless people stop dying. I had a look at the assumptions used and these are very conservative. I am filling my buckets with shares. The next years will be though, expecialy if the $ increases, but the renewal income increases with every engine sold and compounding will work its magic again. Hi Eugen, thanks for clarifying. The figures you’ve mentioned are the same as the one’s I have used. The difference in our position is that you are happy that the scheme has a surplus, while I am not interested in whether it has a surplus or deficit today. What I’m interested in is the size of the risk posed by a fairly normal deficit of around 10%. With a £12bn pension obligation, a 10% deficit would mean a £1.2bn funding gap, which is more than the company typically earns in profit. I do think Rolls-Royce is a good company, but its pension fund is potentially a significant risk to future cash flows and so I’ll be sitting on the sidelines for now. I hope RR does continue to do well though, so good luck with your buckets of shares. I agree with Eugen, as a RR DB pension recipient, I keep a close eye on the funding level of the scheme, and it has been in surplus ever since the scheme was closed to new members, and RR injected £500m several years ago. Things can of course change, but I believe RR tried to put to bed the pension issue a few years ago, and I see nothing to suggest the liability turning into a good risk. Having said all that, having pension risk as a criterion is a good idea. Hi Nigel, hopefully the pension fund doesn’t become a problem, but it is a repeat of that £500m injection in 2007 that I’m wary of. Any future injection could end up being several times that amount as the pension fund is significantly larger than it was back then. I guess this will be an interesting topic to revisit in five or ten years to see how events unfolded. Hi John, Great analysis, if I send you a cheque, will you spend some time doing the same for GKN, who also have moved into the aerospace sector in the last few years. I see from the response from Eugen and Nigel that there is some debate here if RR’s pension poses a threat or is in fact in good shape. I’m interested to see the balance of the argument here as this really does materially effect the situation at RR. I bought heavily at the last dip to 7xx and sold at 9xx. I bought back in tentatively with a small position last week, but I’m a little wary of it right now, so your analysis is very timely. 1. RR’s order book stretches out over 4 years. Probably not too many FTSE 100 companies can match that, although I don’t know that for sure. 2. China needs some 300,000 new pilots to be trained by 2025 — so I’d say the growth potential here is as fast as RR can build the engines and John Rishton, before he left, made a big push to automate more of the manufacturing as RR was severely compromised here. One other factor here is management – this has undergone some change of late and I’m not convinced Warren East is the right man to run a very large organisation like RR — although I’d be very pleased if he could. 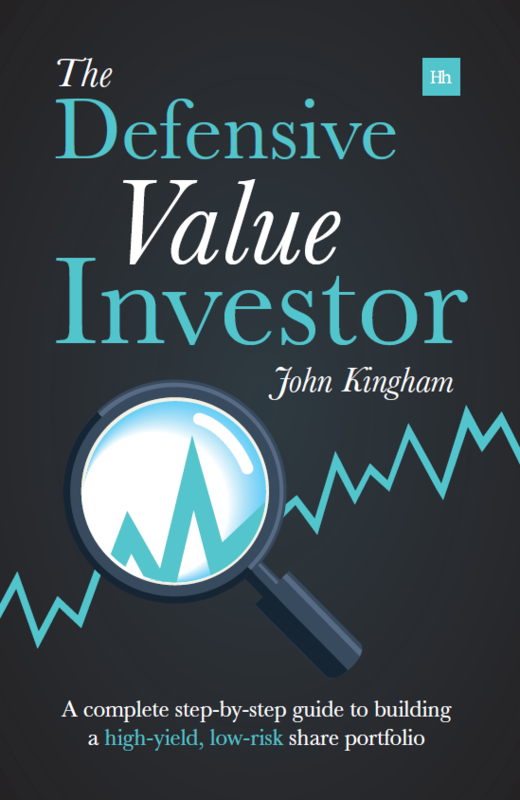 If you’re serious about paying for research (it’s always hard to tell if people are serious or joking in writing) just send an email to john at ukvalueinvestor.com and we can discuss. You’re point about moving away from equities is spot on, and the company has already done this. In 2007 the company reviewed the scheme and took a variety of steps in order to get “a less volatile, more predictable funding requirement in the future” (notice they didn’t say NO funding requirement, but instead a less VOLATILE funding requirement). The assets were switched from about 70% equities (very high in my opinion) to 25% equities with most of the rest in “liability driven” investments, which is lower risk but also lower growth and therefore less able to cope with growing obligations and retirees who live longer than expected, which is your point. If the obligations continue to grow faster than profits and if they outpace the assets we may well see further “longevity swaps” to reduce risk, and of course such risk reduction does not come for free. But I’m not super-bearish about the company, it’s just this one aspect that I don’t like. 1. RR could close the accrual for existing members (approx. 85% of the existing employees) – that will reduce the liability immediately as the salary link will be lost, being replaced with RPI link – that will reduce the liabilities by around £1 bln. It will also produce a saving of around £150 million per annum, the difference between the average employer contribution into a DC scheme and the annual contribution into the DB scheme which is around £250 million. 2. Should the first will happen and the scheme would be wound-up (sold to an insurer) afterwards, the company could pocket the surplus of the scheme as profit. Second, you said that you do not make a difference between a pension scheme in deficit and one that has a surplus. I do, because a company with a scheme in deficit needs to make good the deficit as in the 10 years recovery agreed with the pension regulator. Also the pension deficit will show on the balance sheet. Then I can agree to add it to the debt as the deficit is debt towards the pension scheme. Remember, Tesco has a situation like this. I believe you went over the top when calculating the indebtness of the company. Although you said that it is not impossible the scheme to present in the future a £1 bln deficit (which I agree as a possibility) you did not add £1 bln to the £3.2 bln debt to get a debt ratio of 4.2, you added the whole existing pension fund (not even the existing liability which is smaller). That’s well over the top, in my opinion, it is like the pension fund £12.34bln did not exist. But let’s figure out what happened if the deficit becomes £1 bln. The managers cannot wait for that, as they have a reason to close the accrual for existing active members. If they do that, they wipe out the deficit, as I explained above. But what if the deficit is £2bln, as before the close the scheme and instate a recovery plan paying £100 million for 10 years. They save £150 millions from switching to a defined contribution pension scheme and pocket £50 million each year in profits, after they pay the for the deficit of the scheme as agreed in the recovery plan. Last thing, there are diferrent ways to calculate deficits and surpluses for pension schemes. For the annual report, the liability is done using the yield of an AA corporate bond. For the three-annual actuarial calculation thi is done differently, based on the expected return of the assets held by the pension scheme and fron what I have seen the surplus of the scheme is even higher. Just wondering what the deal with the C-share dividend is? I’ve never seen that before. All the info on their investors site seems to be from the angle of buying shares direct from RR. 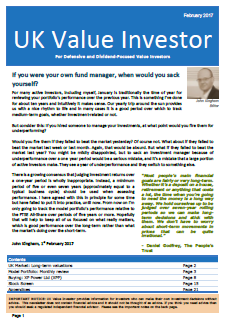 Do you know what happens to the dividends if I buy through my online broker (YouInvest in my case)? Does the broker just convert them to cash? Do they take a cut? For a definitive answer I would say ask your broker, but at first glance it looks as if investors are granted some “corporate action” options as with spin-off shares or similar corporate events. John did you press the button at below 650? I did, pension fund risk aside. Hi LR, no I’m not an RR shareholder yet. I think the shares are now attractively valued, but pretty much everything else has dropped in price too over the last few months so there are other (better) bargains out there too, I think. Also, it has that pension problem which means I won’t be investing, at any price, until that is resolved. Well after today’s news it illustrates the difficulty in valuing these organisations. My 643 entry is looking rather sickly this morning. Fortunately it’s only my lower sleeve and not the full shirt. Time will tell. The price is really starting to look interesting but currently it’s off limits for me thanks to its massive pension obligation.